Do you have a mess from a toilet overflow in Garden Ridge, Texas? Time is of the essence. It's best to address toilet overflows as quickly as possible before potentially contaminated water seeps into your floors and walls. Call the experts from Complete Clean Restoration to offer a quick solution to this debilitating problem! If you have experienced overflow of a toilet in your Garden Ridge commercial property, we understand the urgency with which you require immediate service. The health risks to your customers and staff are real, and the areas affected need to be handled safely, in compliance with OSHA standards. You certainly don't want to have your facilities out of order or your flooring and walls contaminated. Call the Garden Ridge damage restoration experts at Complete Clean Restoration to remove these hazards and get your business up and running smoothly again. Whether from old clogged pipes or a guest who used far too much toilet paper, toilet overflows can wreck havoc on a residence! Having a bathroom commission is a huge inconvenience. 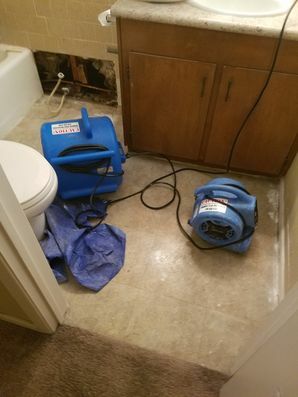 It is important to remediate Garden Ridge toilet overflows as quickly as possible so that contaminated water is not tracked elsewhere in your home, or leave walls and subfloors damp and welcoming for mold and bacteria growth. Call the Garden Ridge toilet overflow clean up technicians at Complete Clean Restoration today for a speedy and thorough cleaning of your bathroom and any other affected areas today! Technicians are available 24/7 to assist you.